The European Chemicals Agency (ECHA) has published an update to the Guidance on the Application of the CLP Criteria following the conclusion of a full consultation process. 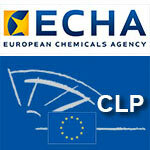 The Guidance is now available in the ‘Guidance on CLP' section of the ECHA website . The regulation 1272/2008 related to the classification, labeling and packaging of substances and mixtures (CLP regulation) has recently been modified by the regulation 944/2013, published in the Official Journal of the European Union on 3 October. • An up-date of the list of the harmful substances, subject to harmonized classification and labeling, listed in the Annex VI of the regulation. • The taking into account of the 5th revision of the Globally Harmonized System of Classification and Labeling of Chemicals (GHS) issued by the United Nations, for the P210 precautionary statement (to be displayed on spray can), which is now, "Keep away from heat, hot surfaces, sparks, open flames and other ignition sources. No smoking." This provision is applicable to substances as of 1 December 2014, and to mixtures as of 1 June 2015. Approved after a written procedure on 18 March 2013, this Opinion went to the conclusion that dermal application of nano-sized MBBT (UV filter) did not seem to be a concern, in spite of possible irritant effects and harmfulness to aquatic environments. This latter point led the experts to warn against its use in sunscreens. These experts, without changing their Opinion in substance, brought some clarifications. The final version has just been released (in bold letters, the modified parts). Since no appropriate data on genotoxicity of nano form of MBBT were provided , no conclusion on the safety of this substance can be drawn. However regarding systemic effects there seems no concern for the dermal application of nano-sized MBBT. • In the study in rats, clinical effects (pain and vocalization) after dermal application were noted at concentrations of 20% (500mg a.i. /kg bw/d and higher). In the carcinogenicity study, scabs were seen at a dose level of 100 mg a.i./kg/bw/day and higher. It is worthwhile to monitor possible irritation effects via the existing cosmetovigilance programs. • Attention needs to be paid to identification/presence in selected tissues to obtain information on potential bioaccumulation given the physicochemical properties (lipophilicity) of the substance. The SCCS noted that due to the poor biodegradation potential and the very high octanol-water partition coefficient long term effects or bioaccumulation of MBBT in the environment cannot be excluded, therefore the MBBT is currently classified with R 53/Chronic 4 ("may cause long term effects on the aquatic environment"). The use of MBBT as ingredient in sunscreen products might lead to environmental exposure. As it does every year, the “Belle et Bien” (Beautiful and Well) association will be a partner of the Odyssea race, which allows for the raising funds against breast cancer. On Sunday, 6 October 2013, the rendez-vous of the “Belle et bien” team is scheduled for a five-kilometre march, five-kilometre race, and, for the bravest ones, these two races combined will be timed! The funds raised, thanks to this race, will be given for research, for accompanying patients and their families, and for information about the early detection of cancer. The Gustave Roussy Institute, which welcomes the workshops for skin-, hair-care and make-up organised by “Belle et Bien”, is a recipient of these funds. The “Belle et Bien” team waits for you to help women fight cancer! 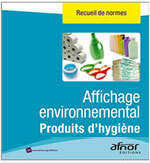 New collections of standards have been released by AFNOR Editions, the French standardization publisher. They deal with everything to know about the environmental labeling linked to four important categories of products: personal-care products, furniture and TV sets, sports items and food products. Each of these collections comprises the ISO 14020 standard, which deals with the labels and the environmental claims applicable to any type of mass-market commodity. Among them, the “Environmental Labeling of personal-care products” collection. It includes the sector guides that deal with personal-care products such as washing powders, shampoos, toilet paper and disposable diapers for babies. • The Environmental Labeling standards collection about personal-care products is available on the AFNOR e-shop, for 189 € before VAT, 214 pages. After the French daily Le Figaro website, L’Oreal group has made an offer to buy the Nickel brand from the Interparfums Group, for € 3.2 million (GBP 2.66 million; USD 4.2 million). The transaction, effective on 31 December 2013, comprises the brand and the two beauty salons, in Paris and New York. Three nano-ingredients (titanium dioxide, zinc oxide and Methylene bis-benzotriazolyl tetramethylbutylphenol) have been evaluated by the SCCS, which released its Opinions about them on July 26. The deadline for comments, originally set on September 6, has been postponed until 18 September. Revlon, the American cosmetics group, is to acquire The Colomer Group, a privately-held beauty care company focused on the professional salon channel, for USD 660 million (€: 507 million; GBP: 421 million), after a 5 August 2013 press release. The transaction is expected to be finalised in the fourth quarter, subject to the obtaining of the necessary regulatory approvals. Alan Ennis, the Revlon’s CEO, welcomed this acquisition, which “we expect to be accretive to cash flow and earnings in the first year ,” “[will] expands our distribution into new channels ,” the professional salon channel, which Revlon currently does not serve, “and [will] provide meaningful cost synergy opportunities. 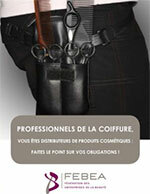 On 11 June 2013, the Cosmebio association elected its new Board of Directors. Greeting Rodolphe Balz, the founder of this Eco-friendly and Organic Professional Association, Cosmebio is glad to see twelve companies (SMEs as well as large groups) be members of its new Board of Directors. The members are: Samuel Gabory (Nature et Strategie - President), Bernard Chevilliat (M & L Distribution - Vice-president), Nicolas Fouchère (Sicobel - Vice-President), Pierre Charlier de Chily (Aldivia - Secretary General), Romain Ruth (Florame - Treasurer), Alexis Fort (Cattier - Deputy-Treasurer),Valérie Marcadet (Léa - Administrator), Claudie Ravel (Guayapi Tropical - Administrator), Cyrille Droin (Phyto-Actif - Administrator), Frédéric Grange (Biocos - Administrator), Amandine Briand (Odysud - Administrator - elected in 2013), Philippe Laratte (Boutique Nature - Administrator - elected in 2013). He established this company in 1962. It is now a major in the pharmaceutical and cosmetics sectors, with 10,000 salary people and revenues of € 1.972 billion (GBP: 1.637 billion; USD: 2.563 billion) in 2012, 42 subsidiaries and products available in more than 130 countries. Pierre Fabre had also invested in media through its Sud Communication company, and had financially supported the rugby club Castres Olympique (CO), French championship winner this year. The French Ministry of Ecology, Sustainable Development and Energy has released in the Journal Officiel, dated 18 July, a Notice to economic operators about the obligation to give information on the substances contained in the articles, pursuant to the REACH regulation. The ministry reminds them that the 144 substances candidates to authorization, the list of which has been updated on 20 June 2013, are not subject to a ban or to a restriction for use; thus, they can be placed on the market. On the other hand, the obligation to make available some information is applicable, and the text of the notice reminds the suppliers, manufacturers and importers of the provisions in place. • Go to the full text of this notice and on the specific provisions for every type of operator, on the Legifrance website . The China Food & Drug Administration (CFDA) issued a notice inviting public comments on the approval of a new cosmetic ingredient “Elaeagnus Mollis Diel Oil”. The consultation is open until July, 10. If finally approved, this oil from a Asian plant will be the 4th new cosmetic ingredient approved by CFDA in 2 years (after Polymethacryloyl Lysine and Dimethoxytolyl Propylresorcinol in March 2012 and Phenylethyl Resorcinol in December 2012), and the first for 2013. ECHA invites the parties concerned to comment on a proposal for harmonised classification and labelling (CLH) of hydroxyisohexyl 3-cyclohexene carboxaldehyde. The public consultation will be open for 45 days and will end on 16 August 2013. Hydroxyisohexyl 3-cyclohexene carboxaldehyde is a multi-constituent substance which is widely used in the manufacture of various consumer products, such as cleaning products and detergents, cosmetics, scented products and room fresheners. The submitting Member State, Sweden, proposes classification for skin sensitisation. The CLH report and the dedicated webform to post the comments are available on the ECHA website . India is the first country in South Asia to ban the testing of cosmetics and their ingredients on animals. The decision, taken by the Bureau of Indian Standards (BIS), is in line with the European Union's stand. The BIS approved the removal of any mention of animal tests from the country's cosmetics standard. The use of non-animal alternative tests also becomes mandatory. The FDA has published a document that provides guidance to the industry concerning Good Manufacturing Practices for cosmetics and is intended to assist in identifying the standards and issues that can affect the quality of products. This guidance revises the FDA's "Cosmetic Good Manufacturing Guidelines/inspection Checklist" by updating it to set forth current practice, and clarify certain topics based on recent experience. Well, hair-dressers are (also) distributors of cosmetic products. As such, they are targeted by the Cosmetics Regulation, which will be implemented on 11 July 2013. This document, further to applying some obligations already released in previous regulatory texts, modifies some of them. This is why the French FEBEA, along with the French Fédération Nationale de la Coiffure (FNC; National Federation of Hair-dressing) and the Conseil National des Entreprises de Coiffure (CNEC; National Board of Hair-dressing entrepreneurs) has written a White Paper, designed for hair-dressers. Transport, storage, labelling, cosmetovigilance … This guide details their obligations as distributors. A complementary document, a poster, designed for use in the technical area of the salons, reminds the personnel of the good practice to using products, as well as of the behaviour in case of undesirable effects. These two documents can be downloaded, as of 11 July, from the websites of the professional unions, FEBEA, FNC and CNEC, as well as from the websites of the brands distributed by hair-dressers. This is an initiative that could be followed by the aestheticians’ unions, which are similarly involved. The Norwegian Food Safety Authority requests the Norwegian Scientific Committee for Food Safety (VKM) to evaluate which concentration limits will secure safe use of retinol and retinyl esters in cosmetics in relation to the ingredients ability to irritate the skin. The present Norwegian regulation allowing a maximum of 0.3% vitamin A in cosmetics is withdrawn as the EU cosmetics regulations apply from the 11th July 2013. The Norwegian Food Safety Authority will use the risk assessment in its work to protect the consumer. The VKM Panel on Food Additives, Flavourings, Processing Aids, Food Contact Materials and Cosmetics is responsible for carrying out this assessment. On 3 May, the European Agency on Chemicals (ECHA) held a press conference to present the situation when the second due date of the REACH Regulation occurs. Up to now, 9084 registration dossiers, which deal with the chemical substances manufactured or imported by quantities between 100 and 1,000 metric tons, have been submitted by 3,215 companies. Twenty per cent have been submitted by SMEs; 31% come from Germany and 12% from UK, while France, Italy and Netherlands each has been on the 8% level. Thus, 2,923 new substances have been registered prior to the target date of 2013. However, the exact number will be known only beginning September, once all the dossiers have been treated. The next due date for the substances manufactured or imported by a metric ton or more is 2018. The French National Assembly (the Lower Chamber of the Parliament) has decided to establish a parliamentary fact-finding on environmental labelling. This labelling is supposed to sensitize citizens to the consumption of natural resources. The bill for national environmental engagement (July 2010) had planned such a labelling, which 168 companies have been committed to from July 2011 to July 2012, and an assessment of the appropriateness of a generalization of this package was to be sent to the Parliament. This fact-finding mission, whose report is due in September, was established on 29 May by the Commission of Sustainable Development of the French National Assembly. 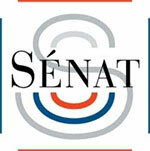 The rapporteurs are Sophie Errante (PS, Loire-Atlantique) and Martial Saddier (UMP, Haute-Savoie). ECHA's new Multi-Annual Work Programme (MAWP) 2014-2018 is ECHA's first five-year strategic plan built around four strategic objectives that set out a high level, aspirational approach to achieving a broad and long-term perspective on the safe use of chemicals in Europe. The key drivers prioritised by the ECHA Management Board are: improving the quality of information on chemicals, making best use of that information for risk management and control, addressing scientific challenges and finally efficient and effective working on the old as well as new tasks coming from the Biocidal Products and PIC Regulations. Individuals, civil society and industry organisations are invited to provide their comments from their area of interest and expertise. ECHA is looking forward to receiving comments by 15 July 2013 and will take them into account when finalising the MAWP. The Agency's Management Board will be asked to adopt the final version at its meeting in September 2013. On 6 May 2013, Cosmed signed an agreement with AXA Group. "A new regulation, new conditions for multi-risk and civil liability insurance," as explained by the press release of the French Association of cosmetics SMEs, Cosmed. Thus, a new nation-wide contract is offered all the Cosmed members, to answer the "legal major developments" inferred by the new text, and "to better insure a company and its managers, an insurance-answer for the entire accountability chain." The French National Agency for the Safety of medicines and health products (ANSM) has let it known on its website : the first meeting of its Committee of Interface with the representatives of the industries of products for cosmetic purposes will be held on 31 May. In the agenda of this new authority, resulting from the ANSM reorganization: the adoption of the Rules of Procedures, and the establishing the work programme and the linked working groups. In December 2012, the Chinese AQSIQ (General Administration of Quality Supervision, Inspection and Quarantine) on a shipment of "Almond Delicious Paste", by L'Occitane. The levels of lead in certain of the products were in the range of 0.043 mg/g to 0.053 mg/g, exceeding the Chinese authorized level of 0.040mg/g. This batch was never available for sale in China and was subsequently destroyed. The Company wishes to advise that it does not add lead to any of its products, but that lead exists naturally in white clay, which is an ingredient used in producing "Almond Delicious Paste" products. The Company wishes to further advise that "Almond Delicious Paste" is a product applied on the body and rinsed off and is never intended to be ingested or inhaled. If properly used, the product is not dangerous to human health. Even if accidentally ingested, the quantity of lead would be significantly lower than the daily level authorized by the World Health Organization for food products. The French Ministry of Ecology, Sustainable Development and Energy has released the news : two additional months are granted to declare substances in the nano-particle size, mandatory since 1 January 2013. On its website, the Ministry states that " at the deadline of 30 April 2013, 457 companies have made 1991 declarations. These initial results show a satisfactory mobilization of stakeholders. The Ministry of Ecology, Sustainable Development and Energy, considering the diversity of actors covered by the declaration requirement, and at the request of several industries, decided, for the first reporting year, to grant two more months to complete the declarations. Thereby, exceptionally, new declarations can be initiated and submitted until 30 June 2013." Following several exchanges of information between the parties and interveners as well as an oral hearing, the Board of Appeal has granted the Appellant's request to annul an ECHA decision requiring it to carry out a 90-day repeated dose toxicity study in the rabbit by inhalation on the substance 2,3,3,3-tetrafluoropropene. The Board of Appeal found that ECHA's decision breached Article 25(1) of the REACH Regulation requiring testing on vertebrate animals only to be undertaken as a last resort, and the requirement to ensure that the minimum number of animals would be used if testing on vertebrate animals is required. In addition, the Board of Appeal found that ECHA's decision was disproportionate as the appropriateness of, and necessity for, the requested study had not been demonstrated nor was the requested study shown to be the least onerous option to achieve the objectives of the contested decision. Europe announces a milestone in animal-free testing strategies: two in vitro methods have been accepted for the first time for the identification of non-irritant chemicals in the field of eye irritation. Both in vitro methods are using isolated eyes from animals slaughtered for human consumption (bovine and chicken) and will contribute to the substitution of the Draize eye irritation test performed on the eyes of living rabbits. There are no less than 18 questions, released in the Journal Officiel du Sénat (the Official Journal of the Senate), issued on 18 April 2013, on the same topic: the presence of endocrine disruptors in the cosmetic products and hygiene products. Following the study released by Europeans consumers associations (among them, the French UFC-Que Choisir), Senators from across the political spectrum are concerned, after the principle of precaution, and require, all in the same terms, the French Ministry of Social Affairs and Health to give the opinion of the French government about the problems due to these substances. 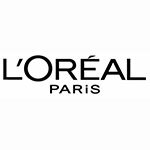 The cosmetics group has launched on Monday its on-line shop, dedicated to the entire L'Oreal Paris programme. This means almost 800 references, comprising make-up products, care, hair colourants, sunscreens. The purpose is to complete its retail network and to be closer to the consumers' demands. April, 15 - The new SCCS has arrived! On 11 and 12 April 2013, the first meeting of the newly appointed Scientific Committees takes place in Luxembourg. The scientists were appointed for a three-year term and will provide the Commission with independent scientific advice on issues relating to consumer safety, public health and the environment. The European scientific committees have been relocated from Brussels to Luxembourg to bring their risk assessment activities closer to the Luxembourg-based Public Health section of the Commission's Directorate -General for Health and Consumers and thus enable better synergies on risk assessment activities. The new SCCS is composed by Dr Ulrike Bernauer, Dr Qasim Chaudhry, Dr Pieter Coenraads, Prof. Gisela Degen, Dr Maria Dusinska, Dr David Gawkrodger, Dr Werner Lilienblum, Dr Andreas Luch, Dr Manfred Metzler, Dr Nancy Monteiro-Rivière, Dr Elsa Nielsen, Prof. Thomas Platzek, Dr Suresh Rastogi, Dr Christophe Rousselle and Dr Jan Van Benthem. Their CVs, photos and declarations of interest are available on this page of European Commission website . The French cosmetics giant, L’Oreal, has confirmed its position as the leader of the Chinese luxury cosmetics market. It let it know its growth strategy to attract the new generation of Chinese consumers, a press release by the Group stated on Wednesday. "The Chinese consumers deserve our full attention. Close to 250 million new consumers may use our products within the 10 to 15 coming years," the L’Oreal CEO, Jean-Paul Agon,is reported to have said. The conquest of the Chinese consumers will occur "mainly through breakthrough innovations, such as the latest release of Clarisonic, a leader of the instrumental cosmetic, and the long-awaited arrival of Yves Saint Laurent Beauté in May 2013," the Group adds. These restrictions concern Lead acetate, Pyrogallol, Formaldehyde and Paraformaldehyde. 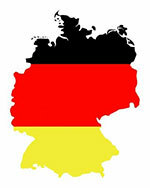 The German Federal Cartel Office (Bundeskartellamt: BKartA) imposes a € 39 million (GBP: 32.4 million; USD:49.5 million) fine on several companies within the consumer sector for illegal information-sharing. This sharing occurred from 2004 to 2006, about personal-care products, beauty products, cleaning and laundry products. The involved companies exchanged pieces of information on the coming price increases, on the discounts required by the retail shops and on the bargaining with them. As the whistle-blower, Colgate-Palmolive escaped a fine, contrary to L'Oreal, Procter & Gamble, GlaxoSmithKline, Beiersdorf and Erdal-Rex. L’Oreal and P&G have already let it know they will appeal. Beiersdorf will not appeal, as it has already come into an agreement with the authorities.